Red palm oil is a vegetable oil that is extracted from palm nut. Palm oil is produced mainly from 2 species of palm trees, the African palm tree ( Elaesis guineensis) found in Africa and the American palm tree (Elaeis oleifera). Palm oil is widely cultivated and abundant in Africa especially in Cameroon, Nigeria and Ghana because it is an essential component of many traditional delicacies. 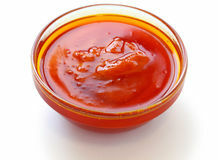 Palm oil has a reddish or orange colour because it has a high amount of beta-carotene and lycopene. There have been a lot of rumours which have labeled palm oil as unsafe for one’s health- which are all false. Red palm Oil has been the main cooking oil for generations in West Africa. After olive oil, palm oil is the next best vegetable oil. The most health benefits are gotten when red palm oil is consumed in its natural form-when it is still red and has not been over heated or processed. When red palm oil is over heated or processed, it will no longer have its original reddish/orange colour and it would have lost majority of its nutrients. Here are some of the health benefits of eating red palm oil. Palm oil contains 50% saturated fats and 50% unsaturated fats. Despite its high constituent of saturated fat is high, the British Journal of Biomedical sciences revealed that palm oil doesn’t contribute to atherosclerosis as some people believe. The consumption of red palm oil helps in reducing high blood pressure, improves the circulation of blood and helps in balancing our cholesterol levels. The antioxidant property of palm oil helps in the prevention of certain types of cancers by eliminating free radicals that are responsible for causing cancers. Red palm oil contains high amounts of vitamin A and is therefore a good source of vitamin A for all age groups especially for pregnant women and young children. Red palm oil is high in beta-carotene. After it is consumed, beta-carotene gets converted to vitamin A which helps in the production of rhodopsin, the pigment that helps in night vision. 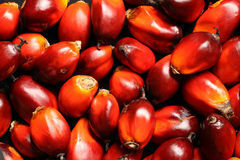 Red palm oil contains Vitamin E, a very powerful anti-oxidant. It therefore helps to eliminate free radicals, strengthen our immune system which in turn makes us more resistant to diseases. Dr. Axe Is palm oil as good as coconut oil? Thanks for putting this together. My previously held position informed by mere hearsay has been changed to one backed by scientific research.